I was in knee pants when I first heard about the Van Allen radiation belts, the donut-shaped rings of charged particles circling the Earth. In the movie (and later television series), “Voyage to the Bottom of the Sea” the belts catch fire, threatening the planet with global warming at hyperspeed – an impossible apocalypse. The belts were new and little explored then, and one of my siblings told me they were named for their discoverer, James Van Allen, a University of Iowa physicist and a born and bred Iowan. In typical chip-on-the-shoulder Iowa fashion (“Hey, we’re more than corn! We have scientists!”), I’ve been proud of that discovery and its name ever since. Van Allen’s research brought prestige and fame to U of I’s physics department and attracted some top scientists. And almost 60 years after the belts’ discovery, the university’s research still yields new insights. The latest, published last month, shows the belts act as a potent particle accelerator, pushing electrons to nearly light speed. 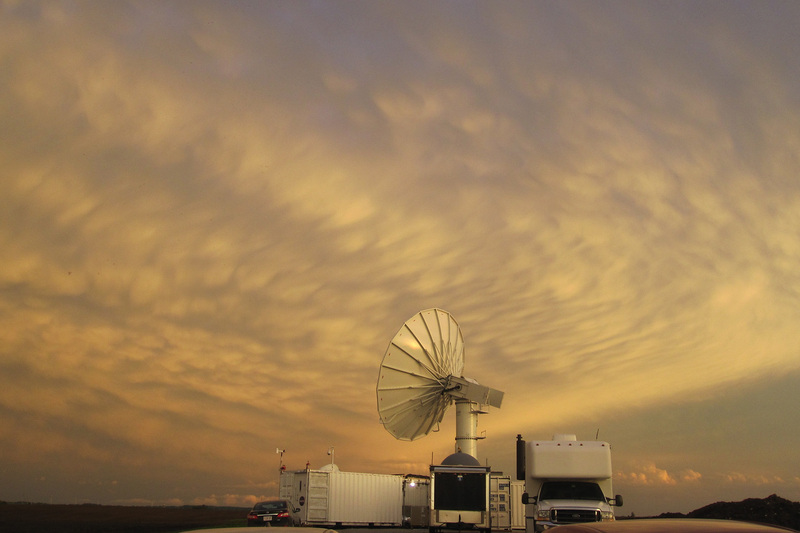 NASA’s NPOL radar in late May, located south of Waterloo, Iowa, under a large anvil cloud with mammatus clouds. Copyright Brenda Dolan, Colorado State University. If you want to study rainfall and floods to help improve satellite predictions of both, you couldn’t choose a better place this year than Iowa. 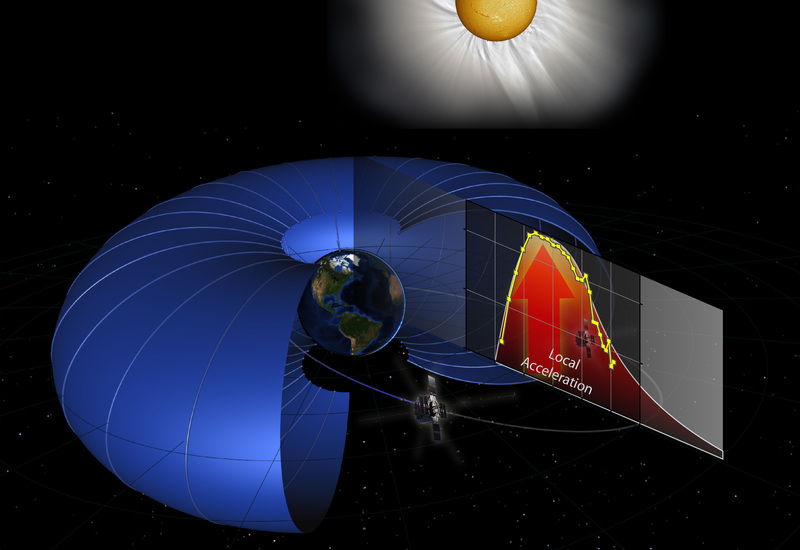 But Witold Krajewski and the researchers at the University of Iowa’s Iowa Flood Center didn’t know that last year, when they planned the project with NASA’S Goddard Space Flight Center. NASA took a chance, despite 2012’s dry weather, and it’s paid off with a rush of data that’s expected to improve computer forecast models’ ability to predict flooding. The study’s observational phase wraps up this week, after employing some powerful radar and a small army of rain gauges and soil moisture sensors.